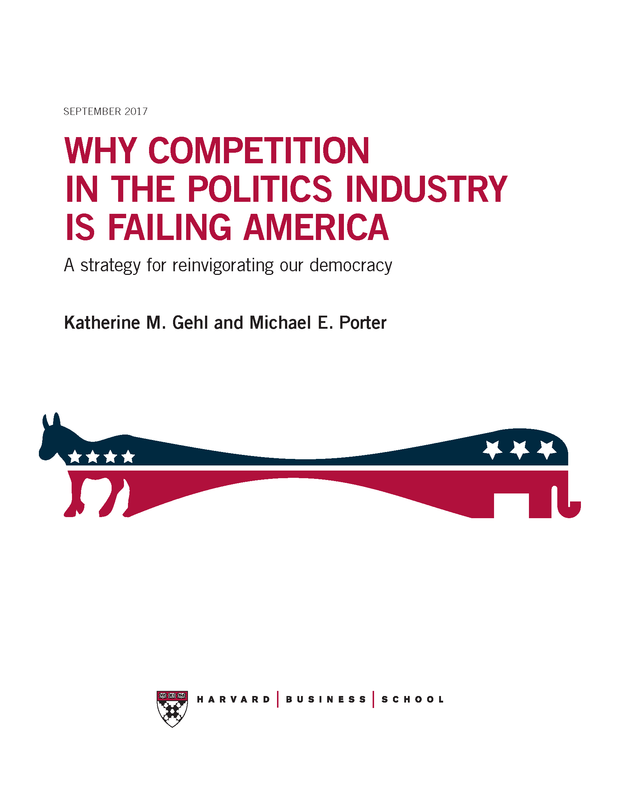 At a time of high dissatisfaction and distrust with the U.S. political system, Michael E. Porter and co-author Katherine M. Gehl use the lens of industry competition to determine why politics in America fails to deliver results for the average American. Applying the Five Forces framework to the politics industry, the authors analyze the classic duopoly with two dominant competitors. The research seeks to inspire action that shifts the nature of competition through powerful and achievable reforms—and reinvigorates the U.S. democracy.